With the recent death of Chris Cornell, lead singer of Soundgarden, I was left remembering of my youth. Whether it be buying the cassingle of My Wave or purchasing the music book for Down on the Upside at a Brashs closing down sale. However, the memory that stands out the most was playing Spoonman as a part of my Year 12 music examination. One of the suggestions in developing the short set was to include a breadth of genres, as well as incorporate different time signatures. 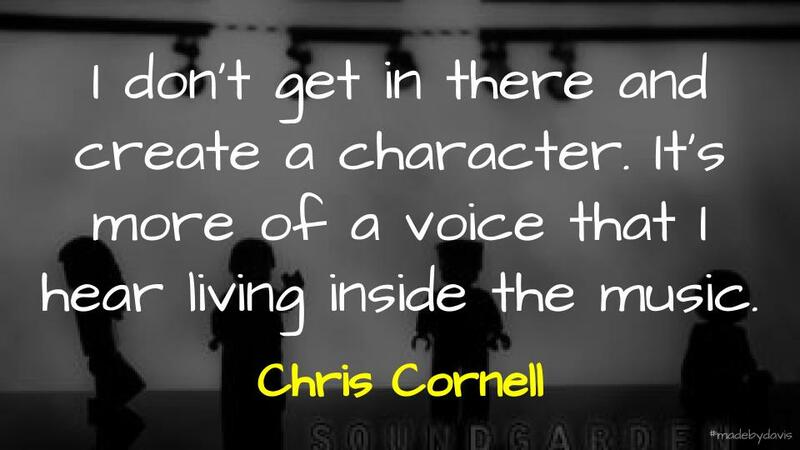 Once you dig down, there is little that is uniform about Soundgarden’s music. Whether it be open tunings or odd time signatures, there is always something going on. So I chose Spoonman after initially toying with Go by Pearl Jam. It was a real chore, although we had a front man who successfully mixed his time screaming metal tracks and singing musical theatre, there was a complexity that I just struggled to get my head (and fingers) around. The problem in hindsight was that I was trying to replicate the lead guitarist Kim Thayil. In particular, I had tried to play note-for-note his wild solos. My guitar teacher tried all he could to get me to simply play around with the scale, but it never felt right. I felt I had to play it how it was on the CD. This no doubt says as much about me as anything. Times have changed. Nowadays, I rarely play other people’s songs and If I do it is to add my own bent. Over time I have become fascinated in the idea of the cover. I think that in part this is a consequence of my interest in the deconstructionists and reader response theory. Some examples include Johnny Cash’s American series and Triple J’s Like a Version series. Another example that I came upon recently was Ryan Adams cover of Taylor Swift’s whole album. I had never actually heard the original, other than the singles. What was interesting was that when I finally heard the original in full recently, I was actually disappointed. Not because I thought that Adams was a better artist, but I because I felt that I would have made different choices with the songs. Plucked out different sounds. Emphasised different elements. Here I was reminded of Brian Eno who when interviewed about U2’s the Joshua Tree explained how with a few tweeks that it could have been a Depeche Mode album. Just as Adams was inspired by a mixture of Bruce Springsteen and The Smiths, I was fed by my own experiences and imagined my own song. It can be easy to get caught up in the creation of the perfect representation. Copying originals. Taking away all context and purpose. It feels like this is what happens in education. Teachers come in with the hope of making everything sound like the latest hit, with their long list of effect sizes. The problem is that this denies the context, the choices and the nuance. It feels like trying to copy Kim Thyall when he himself plays it differently each and every time anyway. We are then faced with the question, how might we let go and become attuned to the moment at hand? Maybe I am wrong, but feelings and emotion come through interpretation, not mindless reproduction? Art and Science of Teaching and Music by Aaron Davis is licensed under a Creative Commons Attribution-ShareAlike 4.0 International License.